You can add, delete or edit Groups. Note: This function is only available in the PRO version! 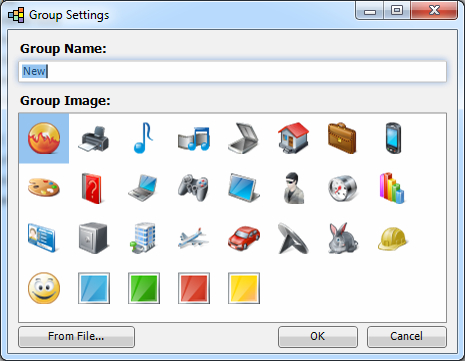 When adding or editing a group, you will see a dialog window that will allow you to specify the group name and image and confirm your selection by clicking OK.
You can also change the groups order using the left/right arrow buttons.